This is a review of the recent movie War Horse, that as an avid horse lover, I of course went to see. The movie starts in the beautiful English countryside (Dartmoor, Devon) with scenes of a foal and his dam grazing and running in the stone fenced fields. A young English boy makes several attempts to coax the foal into friendship but has no luck. The boy’s drunken father buys the colt on a bet as a weanling and brings him home. Thus begins the lifelong friendship of Albert the boy, and Joey the horse. The father makes several attempts to train Joey using brute force and cruelty which of course fail. Albert on the other hand trains Joey with love, kindness and firmness. When his father sells Joey to the war office to pay the bills Albert vows to find him and bring him home. This first parting is one of many that follow Joey as he learns firsthand the trials and terrors of WWI, a war that pits horses against machine guns and tanks. Director Steven Spielberg carefully sanitizes the war footage to give you a view of the atrocities without much of the typical gore of a war film. This still allows you to feel Joeys horror as he battles on both the English side and then as a captive of the Germans. Along the way he meets kind and cruel people on both sides until he is at last reunited with Albert on the front lines. Throughout it all Joey retains his caring, loving nature installed in him by Albert. While I enjoyed the movie I don’t think it will be one of my all time favorites, where as I thoroughly enjoyed the book by Michael Morpurgo. Just as in Black Beauty, the story in the book is told from the viewpoint of Joey the horse. This viewpoint puts a different slant on the story. Joey does not understand what is happening to him or why; he must just deal with the situations he is placed in. I felt the book conveyed his terror and courage in a more convincing manner than the movie. Being a book, albeit a very short one, it is able to delve deeper into each event with more background and character development. I felt I was there suffering with him much more deeply than in the film. I will recommend going to see the movie for all the beautiful horses they used in it to play Joey (14) but read the book to really get to know him. This entry was posted in authors, great stories, Horses, Ponies, riding, Writers, writing. Bookmark the permalink. 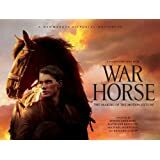 Thank you, Annette, for permission to post your review of War Horse. All you writers out there should note that Annette is an avid reader, not a writer. So polish your stories & she’ll probably read them! Very interesting reviews, Annette and Robin. I especially liked that you looked at both sotry forms and gave us food for thought. Thanks for your comments, Arletta! I’ll pass it on to Annette. I’ve got to read this book. A librarian friend of mine had just told me pretty much the same that you did.. . loved the book, disappointed in the movie version. I saw the movie and liked it, just okay. I’ve got tickets for the stage play in San Francisco. Now I wonder. . . Does it follow the book or the movie or something else? Getting the story from the horse’s mouth seems to be the real secret to making this a success.